Malaysia is a Southeast Asian country occupying parts of the Malay Peninsula and the island of Borneo. It’s known for its beautiful beaches, rainforests, and mix of Malay, Chinese, Indian and European cultural influences. The capital, Kuala Lumpur, is home to colonial buildings, modern shopping districts such as Bukit Bintang and skyscrapers such as the iconic, 451m-tall Petronas Twin Towers. This country is considered to be the paradise by many, so it’s not a surprise that it’s visited by almost 30 million people per year. This puts Malaysia at the 11th place of most popular tourist destinations in the world. Malaysia offers residency by investment program which is also known as Malaysia My Second Home Program (MM2H). This program allows foreign investors to obtain the long-term visa (10 years) by making an investment in the country. Besides the investment, candidates need to pass a background check, have to do a medical test and buy a health insurance policy. Rules of MM2H program depend on the age of the main applicant. If the main applicant is under 50 years of age, they must deposit amount of RM 300 000 ($ 67 226 USD) in the Malaysian bank account. After one year they must keep a minimum balance of RM 150 000 ($ 33 613 USD) throughout their stay in the country. Rest of the amount might be spent on the purchase of home, education or medical expenses. Beside deposit in Malaysian bank candidate must prove that they have bankable assets of at least RM 500 000 ($ 125 000 USD) and they must have a proof of income at least RM 10 000 ($ 2500 USD) per month. If the main applicant is 50 years or older, they must either open a fixed deposit account of RM 150 000 ($ 33 613 USD) or provide evidence of a RM 10 000 ($ 2 240 USD) monthly pension from an offshore account. From the second year onwards, the participant must maintain a minimum balance of RM 100 000 ($ 22 408 USD) throughout their stay in the country. As in the previous case, the rest of the amount might be spent on the purchase of home, education or medical expenses. Also, each candidate must prove that they have bankable assets of at least RM 350 000 ($ 85 000 USD) and they must have a proof of income at least RM 10 000 ($ 2500 USD) per month. Besides the options listed above, if you buy property in Malaysia for at least RM 1 million ($ 224 089 USD) you will be able to get permanent residency in the country. There are multiple benefits to obtaining Malaysian residency. There are no minimum stay requirements. Tax system is very favorable, and your foreign income or pension will not be taxed. There are special opportunities for applicant’s parents: if they are over 60 years of age, they are eligible to live in Malaysia under a special 6-month social-visit renewable visa. Healthcare system is very advanced and medical tourism is blooming, education is also very good. After submission of the fixed deposit certificate, the medical insurance policy, and the medical report, the applicant may collect their MM2H visa. One of the biggest advantages of setting your residency in Malaysia is definitely tax system. Malaysia uses a territorial taxation system, this means that your income made outside of the country will not be taxable. As a resident you will be taxable only on the income you made in Malaysia and the progressive tax rate on chargeable income reaches a maximum of 24%. There is 20% capital gain tax on real estate that belongs to non-citizens if the property is sold within four years of the purchase date. The standard rate of GST is 6%. 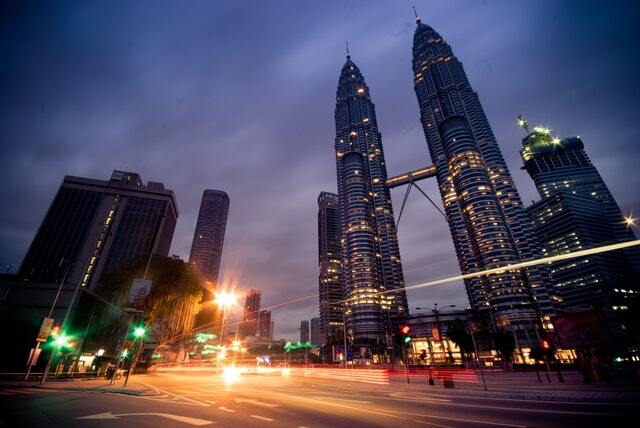 Malaysia has an extensive network of double tax agreements with other countries, which means a resident of Malaysia may be able to claim a tax refund on foreign income taxed in overseas countries.